The hosts surprise Valerie Harper by dedicating THE TALK stage in her honor, Wednesday, March 13, 2012 on the CBS Television Network. Valerie Harpers appearance on THE TALK represents a “coming home” as Harper filmed her show RHODA on Stage 16, the same sound stage currently occupied by “The Talk” on the CBS Radford Lot. 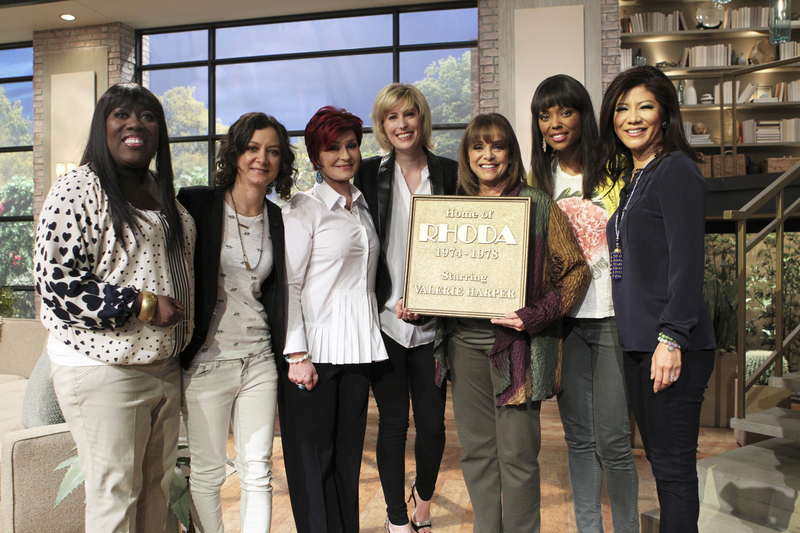 Sheryl Underwood, from left, Sara Gilbert, Sharon Osbourne, Cristina Harper, Valerie Harper, Aisha Tyler and Julie Chen, shown. Photo: Sonja Flemming/CBS ©2013 CBS Broadcasting, Inc. All Rights Reserved.